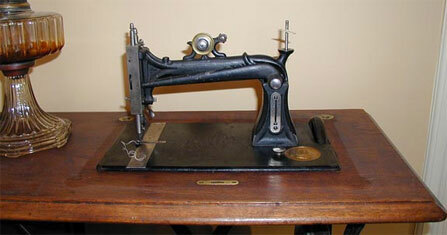 This Howe Treadle Sewing Machine is one of the first treadle machines Jim purchased. The machine is in excellent condition as can be seen in the photographs. The machine was acquired sometime in the late 1990s. 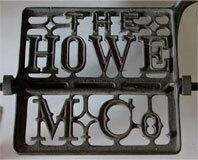 An unusual feature of the Howe is the position of the hand wheel, which is located partially below the tabletop. There is a lot of information on the Internet regarding the history of this machine as well as how to thread it for sewing.